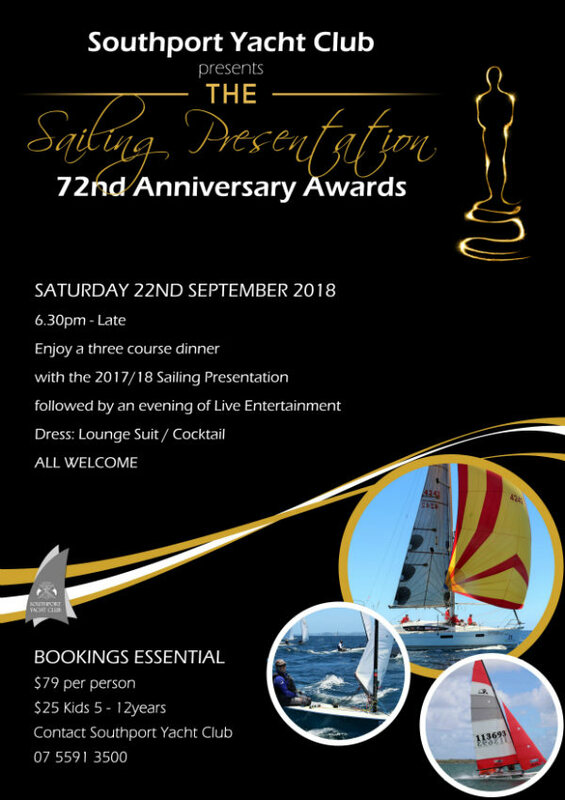 SYC invites you to the Sailing Presentation Dinner 72nd Anniversary Awards! Everyone is welcome to come along and enjoy a delicious three course dinner followed by live entertainment. Tickets are $79 per person and $25 for kids aged 5-12 years. Bookings are essential! Please call SYC on (07) 5591 3500 to book a table!